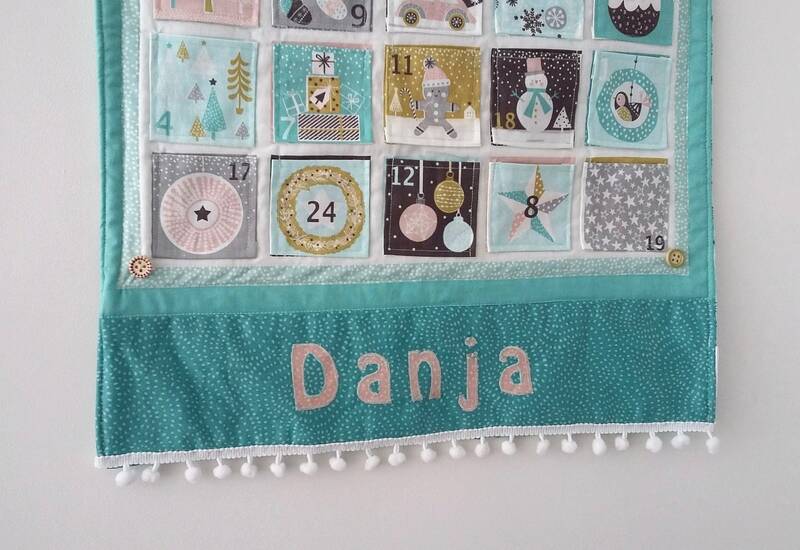 Personalise your advent calendar by adding a family name (e.g The Ambrosi's or The Ambrosi Family) or up to 4 names on coordinating cotton panel running along the base. Simply include the names you would like to add in the notes at the checkout. 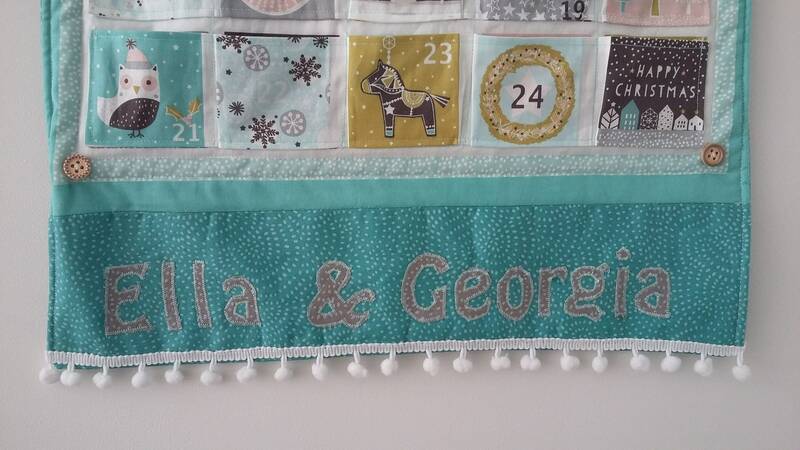 See photo of examples of names - I will confirm the colour options for letters and background with you once you have placed your order. 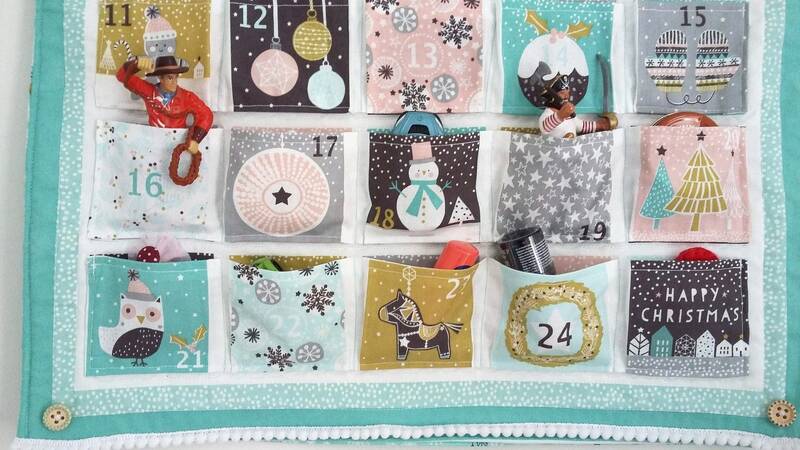 The calendar is lightly padded with a layer of high quality wadding and woven cotton interfacing for added strength. 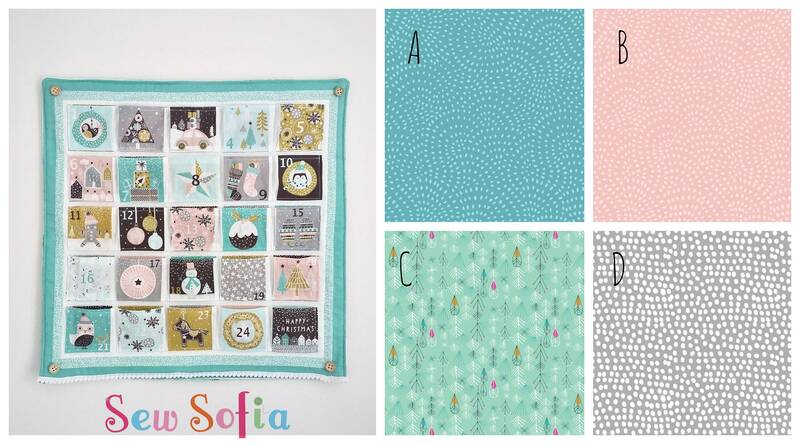 It is backed in a coordinating festive print which you can choose at the checkout from Teal Twist, Blush Twist, Minty Forest or Grey Flurry dots (see second photo). 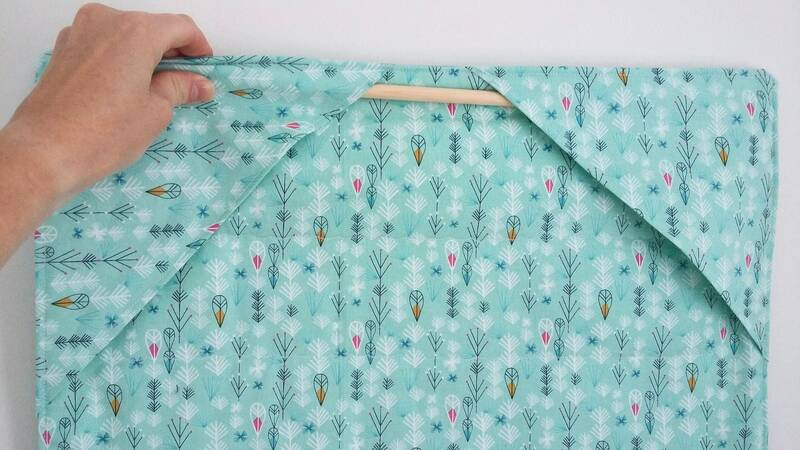 Pictured here with the Minty Forest backing, there are two triangular pockets at the top of the calendar for the dowelling. 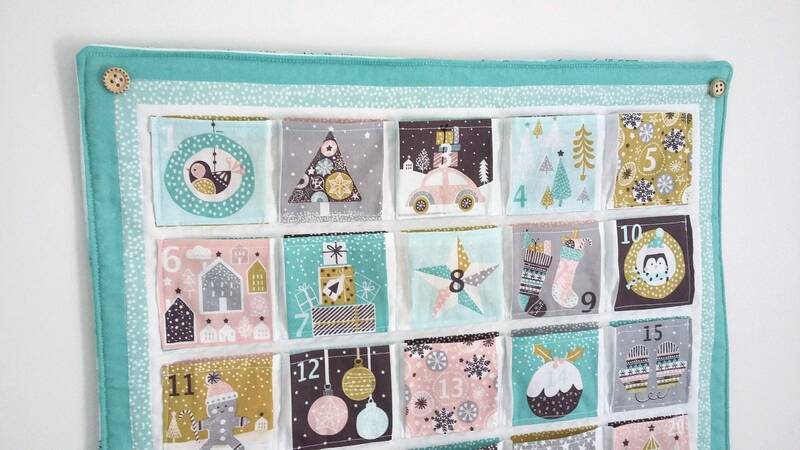 The personalised advent calendar will be rectangular in shape, measuring 18" (46cm) w x 22" (56cm); Pockets measure 3" x 2.75" (7.5cm x 6.5cm). 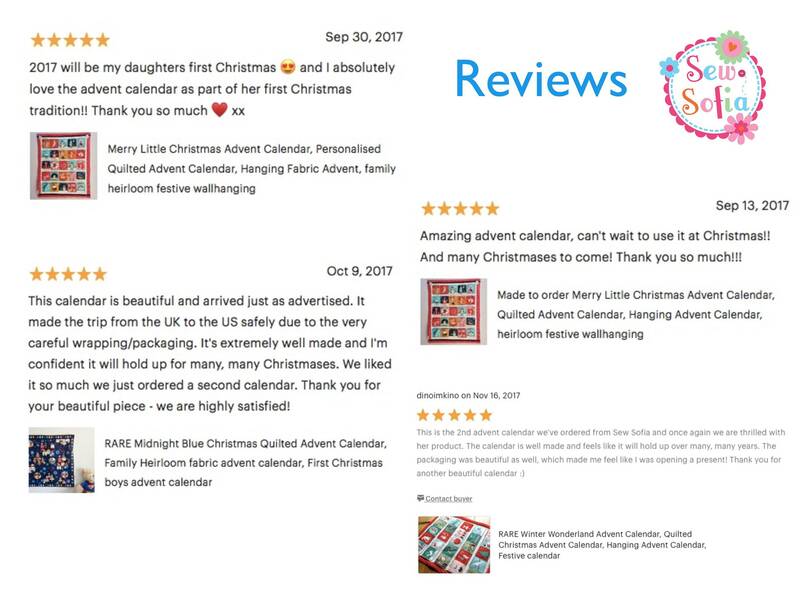 As this is a seasonal item, please expect 3-4 weeks delivery from point of your order. 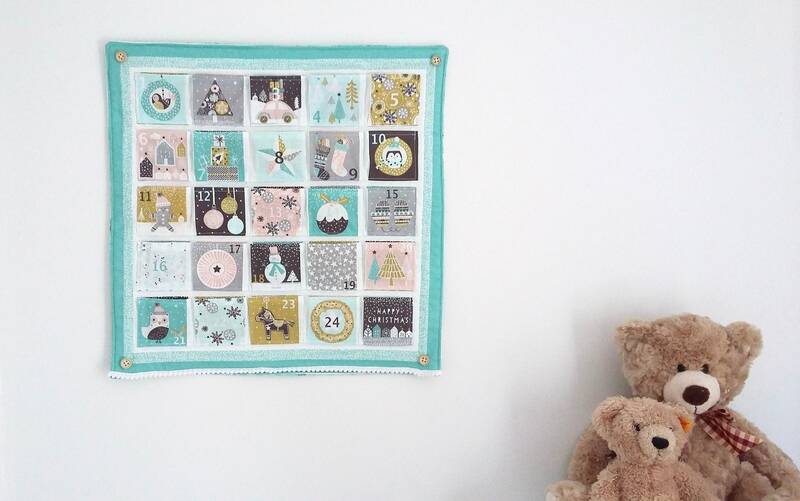 Postage is by 2nd class tracked postage in the UK or tracked international shipping.